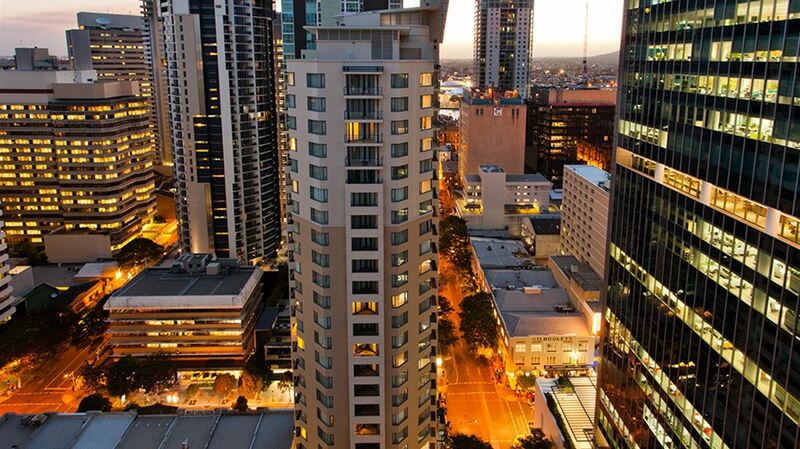 If you're looking for a place to stay in Brisbane then look no further than Mantra Midtown. This conveniently located Brisbane Hotel puts you in the centre of everything. If you're in Brisbane on business, you'll love being so close to the business and financial district of Eagle Street, the government precinct, along with universities and the Brisbane Convention and Exhibition Centre. When it comes to recreation, Mantra Midtown is just a short walk from the great dining choices of Eagle Street Pier. It’s also close to the excellent shopping of Queens Street Mall, the entertainment areas of Southbank, Riverstage and the Queensland Performing Arts Centre (QPAC). Whether you choose a Studio, One Bedroom, One Bedroom Executive or Two Bedroom Apartment, you'll be delighted with the stylish and tastefully appointed apartments that have absolutely everything you'll need to make your stay a home away from home. The fully equipped kitchens and kitchenettes are complete with dishwasher and a full size refrigerator. There are laundry facilities in every apartment and you'll love the 40” LCD TV in the living area and 32” in the master bedroom. 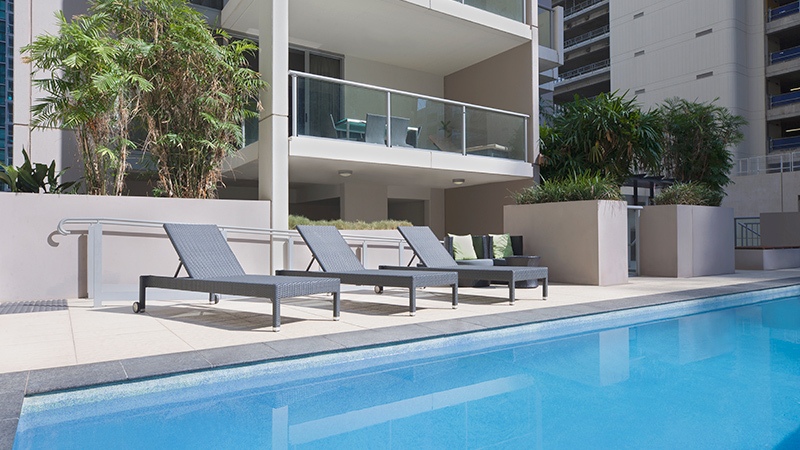 Beyond your apartment you'll find an outdoor pool and sauna, as well as a modern stainless steel and granite bench top BBQ area complete with sink. Discovering the best places to eat and drink is effortless at Mantra Midtown. Whether you're in Brisbane on a romantic couple’s weekend, a family vacation, or business trip, we’ve got you covered when it comes to your dining needs. Park your car securely undercover whilst you explore Brisbane on foot – everything you need is close by. 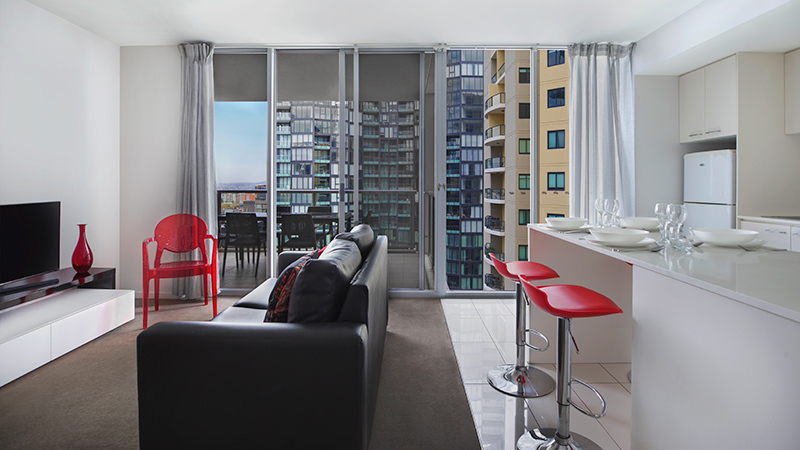 You won't ever be hassled, with the convenience of express check-out, child-minding and photocopying – just some of the services to make your stay in Brisbane a delight.